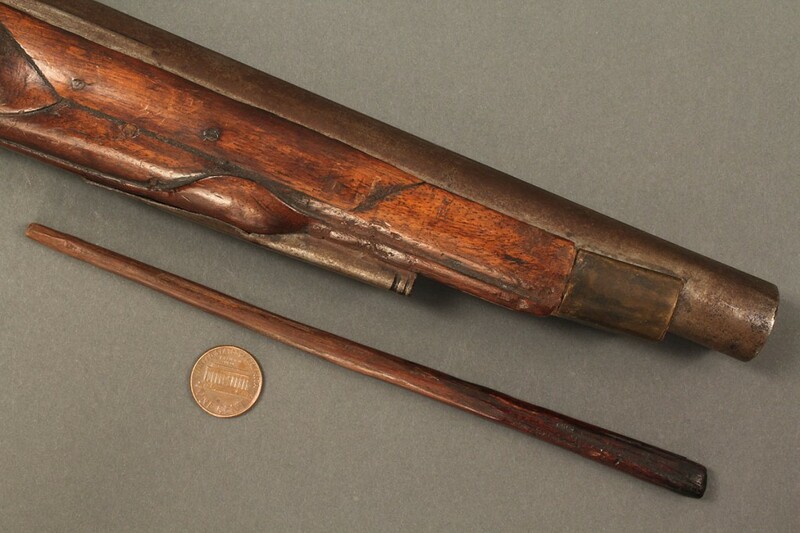 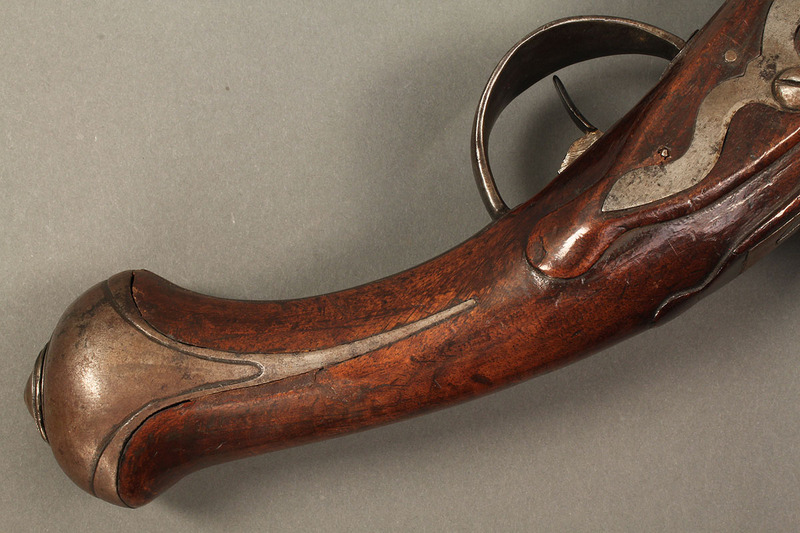 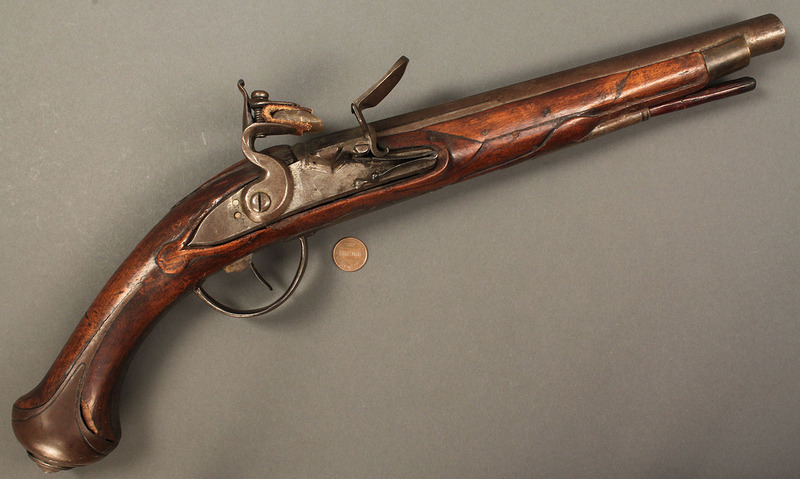 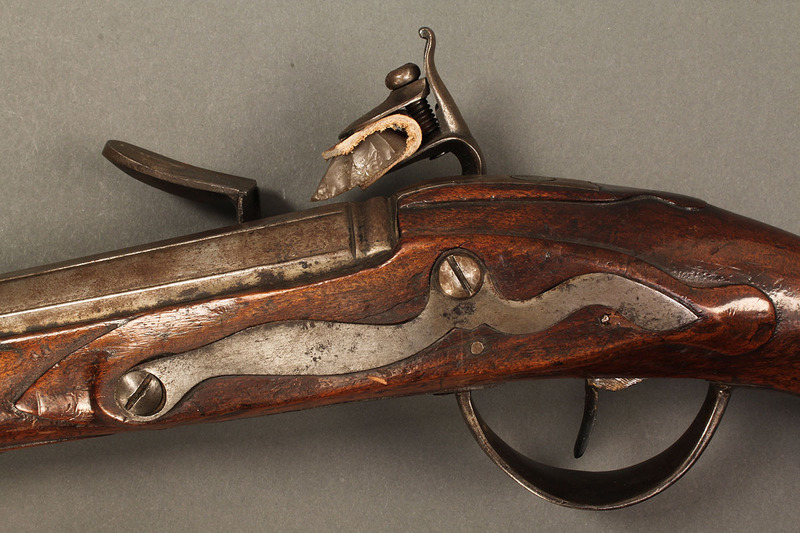 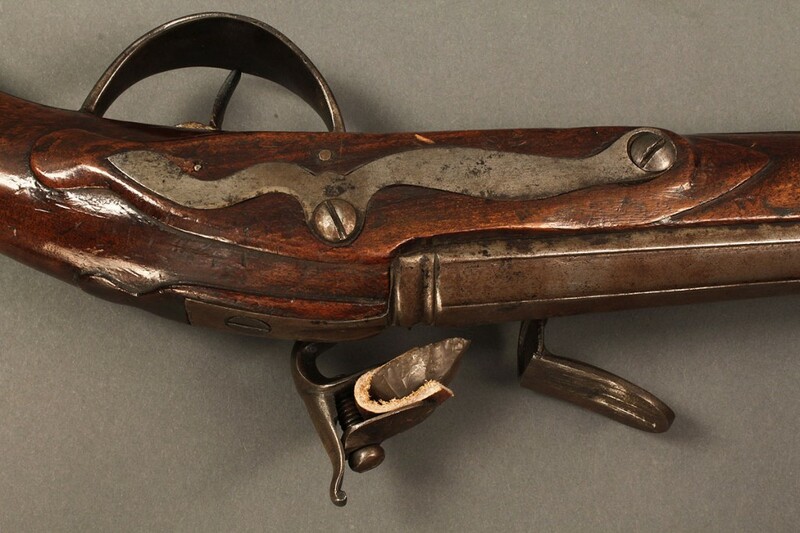 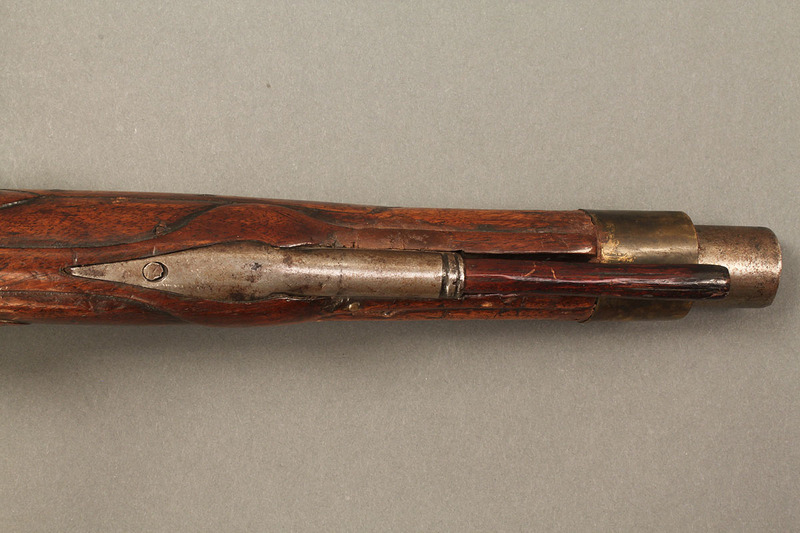 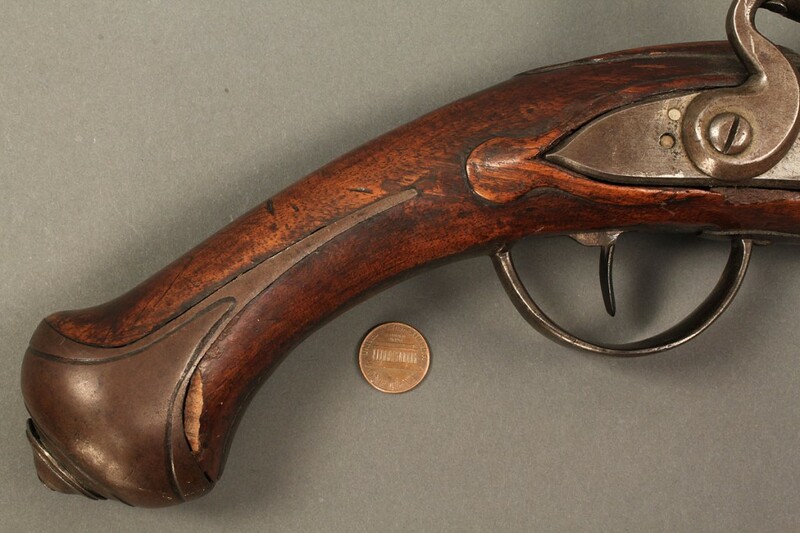 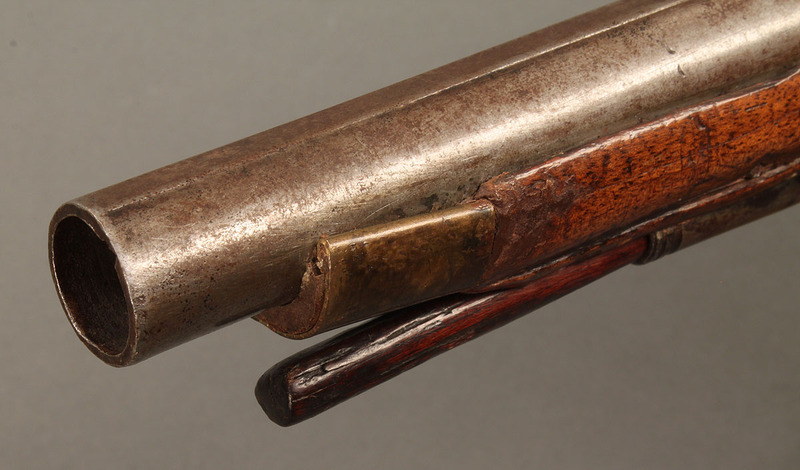 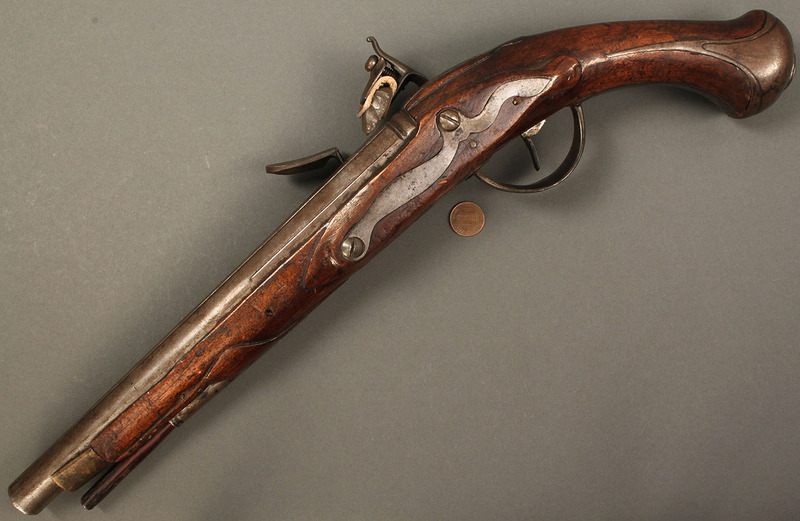 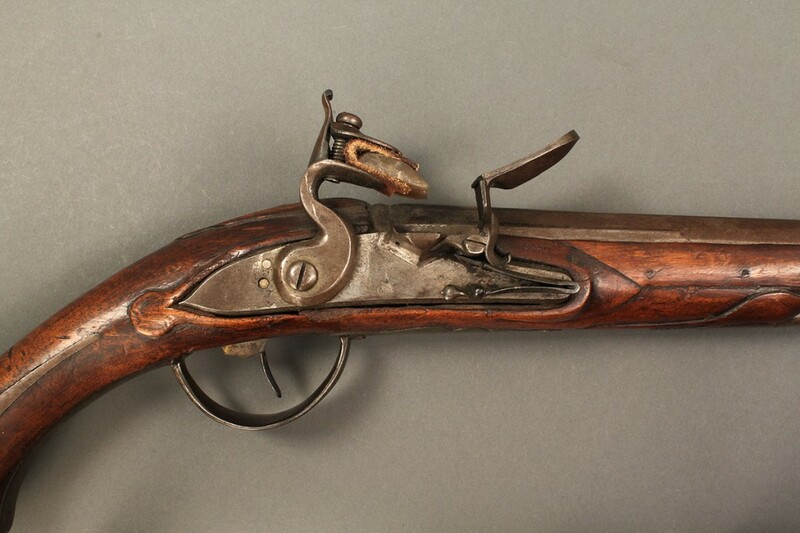 Early French horse flintlock pistol, iron mounted, unmarked, large caliber. 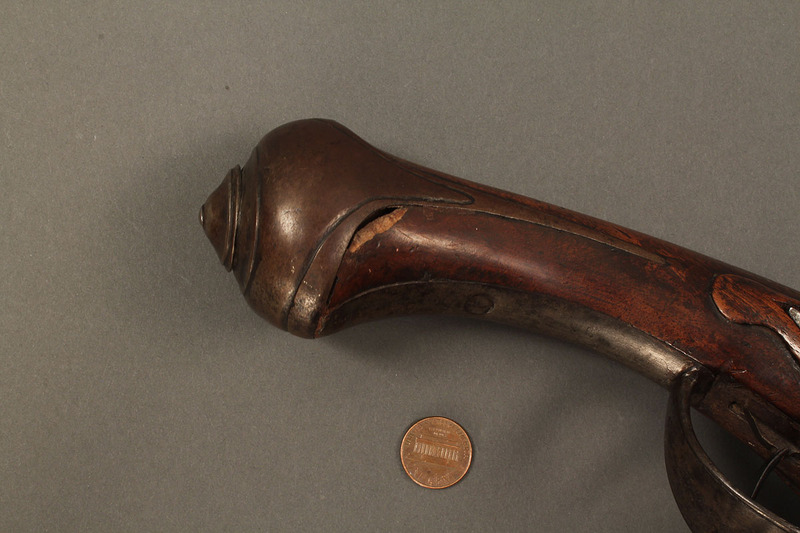 Straight thimbles. 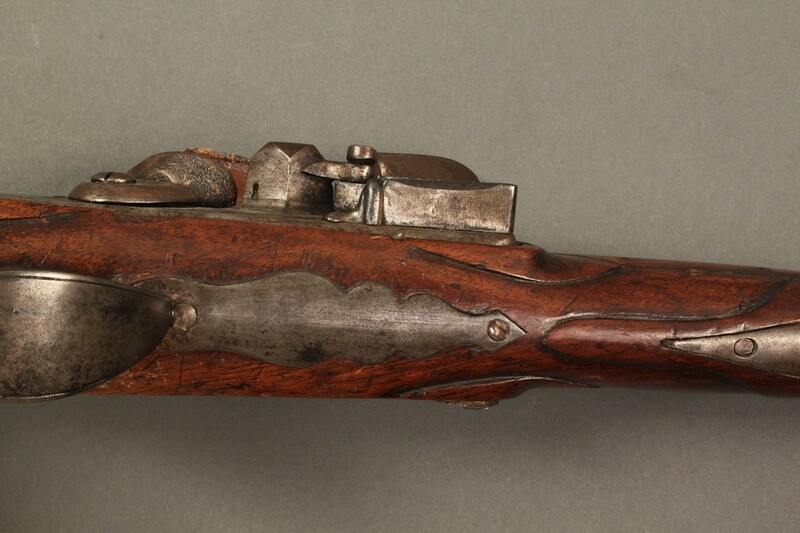 Continental, late 18th or early 19th century. 18"L. Provenance: Estate of A. Welling LaGrone Jr., Nashville, Tenn. 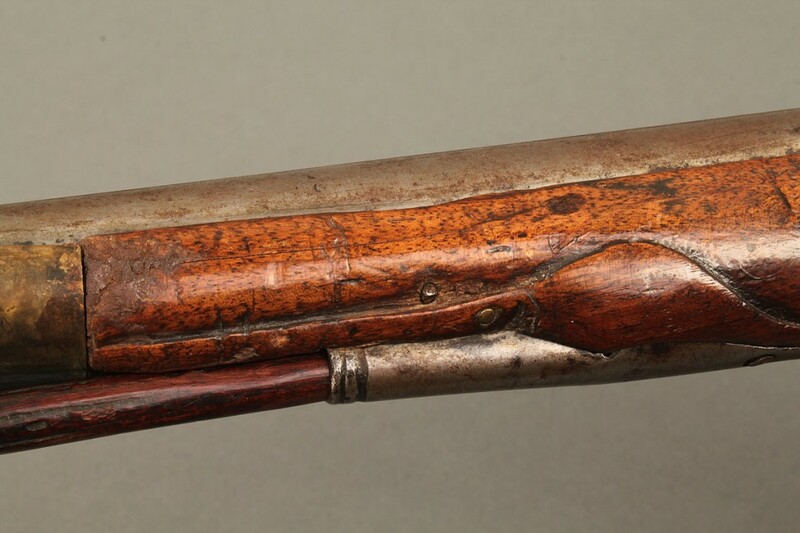 Condition: Some replaced screws, ramrod is probably original but has been broken, chip to wood above but cap.